It's astonishing to think how far from home both Voyager crafts have travelled, nearly 10.5 billion miles. Equally amazing is the fact that both crafts are still working and in communication with Earth. Of course at that distance, it takes messages over a half a day to reach them and another half a day for their responses to reach Earth. Recently Voyager 2 has been sending back garbled messages, prompting some to think that the problem is related to the age of the spacecraft. 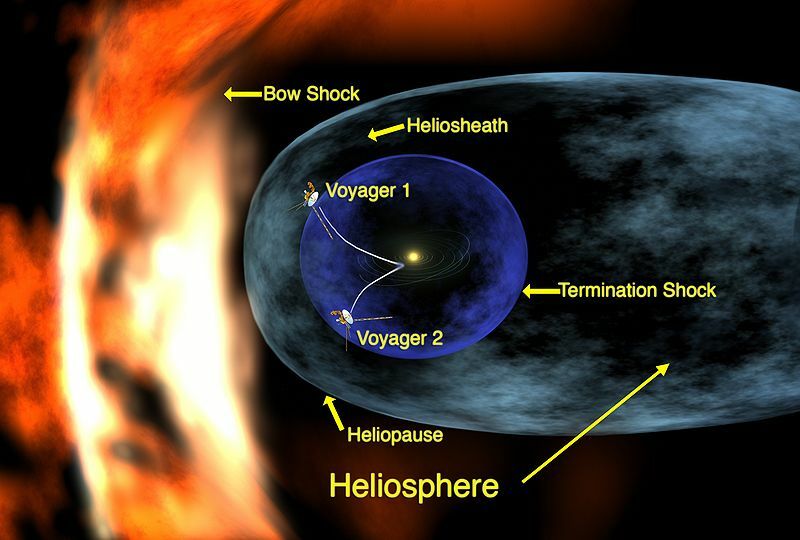 But the issue could also be the result of proximity to the Heliopause, a theoretical boundary at the edge of the Solar System that may have a turbulent nature. Whatever the case, I think it'll be hundreds, if not thousands of years before humans can unravel some of these mysteries and uncover some of these unknowns. Too bad we won't be around to witness these great discoveries. But I must say the specter of what discoveries lie ahead, makes today's world issues seem so petty and insignificant. 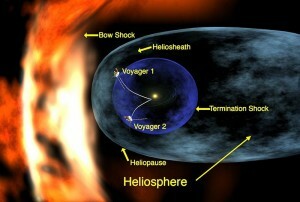 Meanwhile check out Voyager 2 tweets.